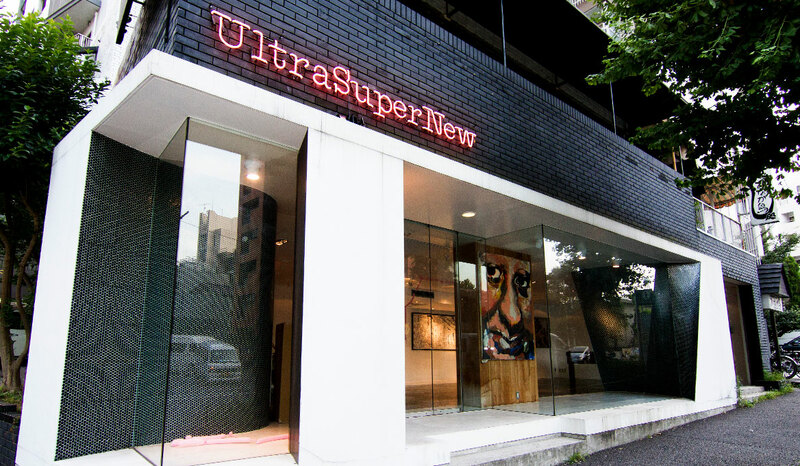 The UltraSuperNew Gallery is an interactive space that curates and brings together creatives from all backgrounds to ignite discovery, imagination, and conversation. It serves as a launchpad for experimental collaborations between artists, designers, and innovators alike. Supported by creative agency UltraSuperNew, we’re excited to be a catalyst in the ever-growing creative ecosystem of Asia. We aspire to challenge popular convention, find fresh narratives, and help bring your creativity to life. Because at the end of the day, we’re just big fans of people making cool sh*t.
Have something you’re dying to show the world, or just want to find out more about upcoming events? Our partnership with Park Gallery allows us to combine strengths in curation and art organization; allowing us to bring some of our exhibitions over to Akihabara, where Park Gallery is located. In hopes to bring art to different neighborhoods and further develop collaborative projects, we hope this union could demonstrate the benefits of banding together in order to promote the social impact of the arts. Made By She is a series of events hosted by Bae Tokyo and UltraSuperNew Gallery that focuses on the empowerment of local and international women in Tokyo. The events will offer a stage for women and the LGBTQ+ community to come together to discuss ideas, opportunities, and challenges. We are here to experience and create change together.